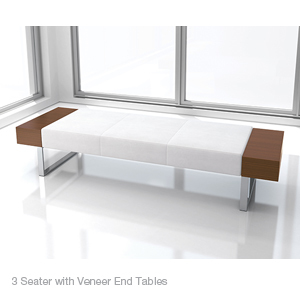 Tate Benches can be specified fully upholstered, with wood or laminate gable ends, or with wood or laminate table ends. Veneers are the highest quality quarter cut material, in standard and custom species. Legs are polished chrome.